You can use this virtual reality gun controller along with the Vive VR system for an unbelieve VR experience. From shooting dinosaurs to playing many popular games like fallout 4, a gun controller is a game changing experience! The Vive virtual reality system is a totally awesome new piece of technology that has revolutionized gaming. Many gamers are sitting for hours and hours a day, but this will soon be changing with all the advancements coming to the VR space. With this system you can move around in a space up to 15 by 15 feet or use the Vive seated, as long as you have at least 6.5 by 5 feet you’ll be able to safely use the device. It has incredible precision tracing and 360-degree movements with millimeter level precision. Just when I thought the Vive couldn’t get any cool a virtual reality gun controller came out that works with many popular games. 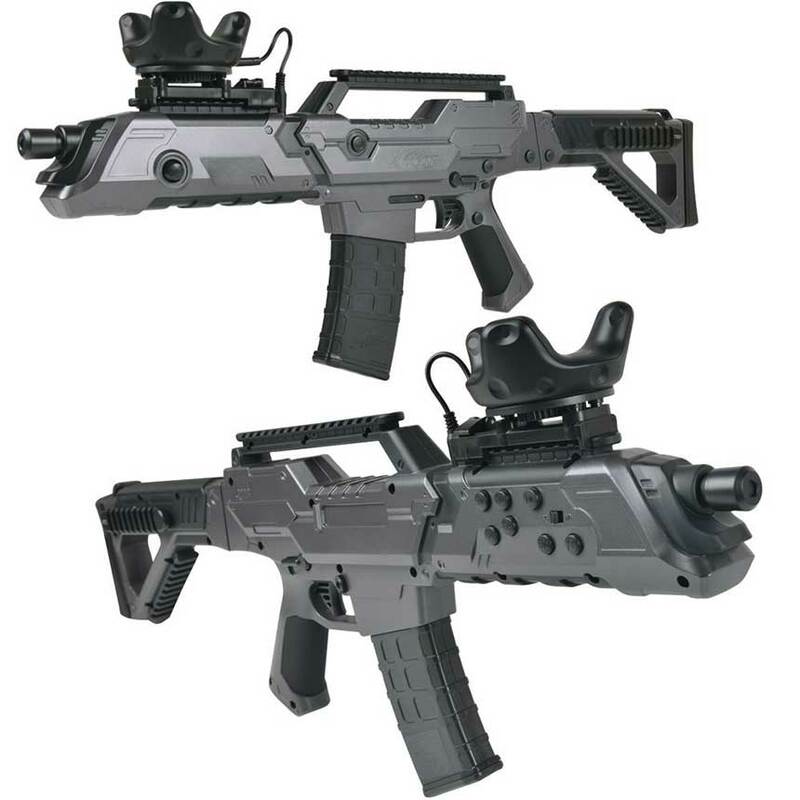 The rifle has 5 buttons, 10 function keys, and a joystick. The battery pack looks like a clip, and separate are sold separately, so you’ll have minimal downtime. 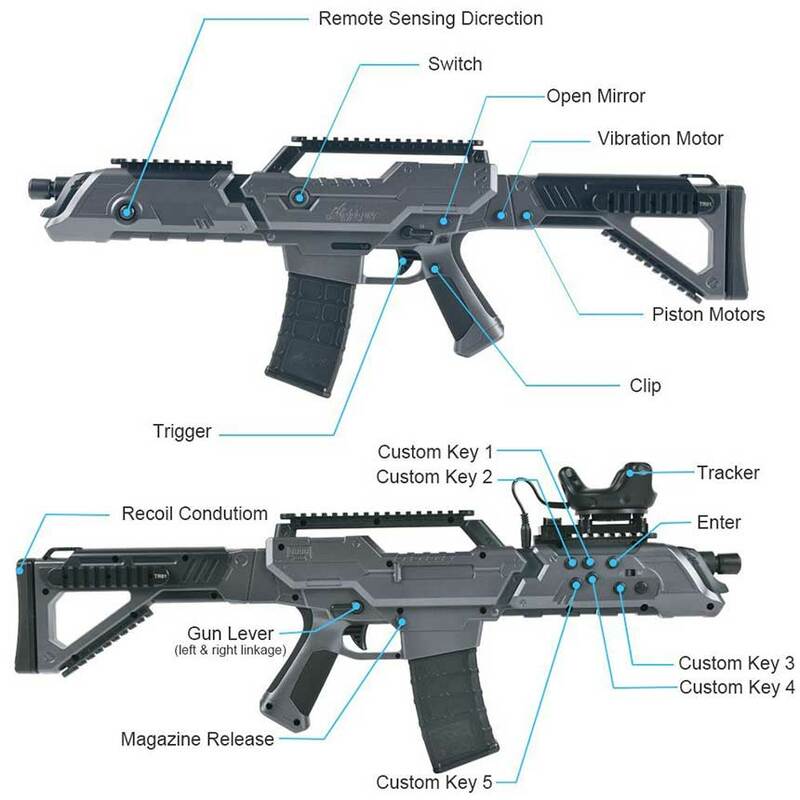 If you have any questions about this VR gun system just leave them in the comments. If you have ever used one of these also leave your experiences below. This system is makes first person shooters a whole look more intense. The device easily connects via bluetooth.